Hobbit: The Battle of Five Armies is highly recommended and it is playing in the cinemas now. 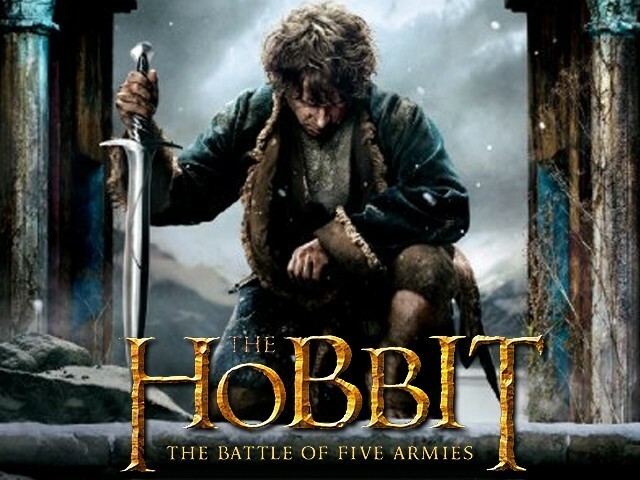 The Battle of the Five Armies is the latest iteration in The Hobbit series; it concludes the journey of the Company of Thorin Oakenshield (Richard Armitage) and Bilbo Baggins (Martin Freeman) which began from The Shire in the first part of the movie trilogy, The Hobbit: An Unexpected Journey, in a spectacular but saddening note. The director and co-writer, Peter Jackson has a lot riding on this movie. Not only does this movie have to stand on its own as a pure entertainment chartbuster for the casual moviegoers, but with regards to the larger JRR Tolkien’s fictional world and its devoted, almost cult-like fan base, it has to act as a prologue and a gateway to The Lord of the Rings trilogy saga, and as a satisfying finale to The Hobbit series. As far as the plot of the movie is concerned, it begins right where the last part, The Desolation of Smaug concludes. The audience is dropped right in the heart of the action from the get-go in the first act – the dragon – Smaug (Benedict Cumberbatch), is now awoken from his long slumber, furious and feverishly manic for having being deceived and conned by the hands of Bilbo. He is further exasperated by the dwarves as an insult to injury, in their pursuit of reclaiming the Lonely Mountain which is their birth right. Smaug is now adamant to lay his much dreaded and, literally, fiery wrath upon the nearby town of Lake-town and its fisher folk inhabitants. The inflammable and incendiary destruction of the wooden town is compounded when Bard the Bowman (Luke Evans) struggles to take down the behemoth abomination of a beast. Now that the Lonely Mountain has been liberated and made devoid of Smaug, the vast treasure hoard accumulated under the mountain’s ancient citadel is again under the rightful ownership of Thorin, along with his company of dwarves. The allure and greed that percolates in a man’s heart when he is under the possession of such wealth makes him a different man altogether. The lust for gold and search for Arkenstone drives Thorin mad, referred to as dragon sickness in the movie. 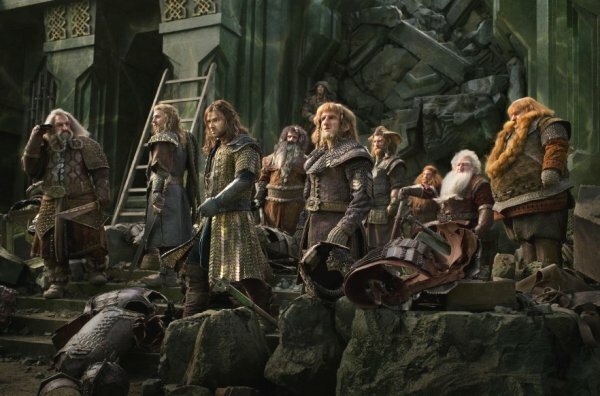 Subsequently, as the word spreads that the Lonely Mountain along with its massive wealth is again accessible, many (elves, men, and orcs) descend upon it to lay their claim on the gold and its many treasures, thus the title of the movie, Battle of Five Armies – men, elves, dwarves and orcs. Yes, these are only four entities; unfortunately, the fifth army should be seen in the movie itself for the sake of keeping potential spoilers at bay. Speaking about the sense of scale, the quality of production values and set pieces, the cities of Dale and Lake-town coupled with the Lonely Mountain are shown in almost painstaking and meticulous detail; even though the same cannot be said about its Computer Generated Imagery (CGI)’s heavy effects, especially in the movie’s final act. At times, the CGI scenes will shock and awe the audience in to pondering over how they achieved such visuals, but in some instances, it can get overbearing and emanate a feeling of watching an animated movie or a cut scene from a video game. Nonetheless, these are but a few minor hiccups in an otherwise seamless and quality movie-going experience. Furthermore, for the uninitiated that haven’t read the fantasy novel itself, Jackson has taken some creative liberties and swayed away from the content of the book. The love triangle shown in the Desolation of Smaug which is brought to its logical conclusion in this movie doesn’t happen in the book. Though, the romance between Tauriel (Evangeline Lilly) and Kili (Aidan Turner) as star-crossed lovers provides a much needed breather in the fast paced action and the plethora of events being unfolded leading to the climax of the movie. 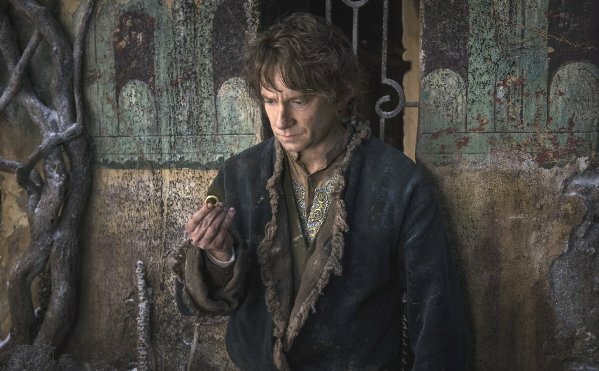 In terms of acting abilities, again, Freeman in his portrayal as Bilbo is outstanding, so much so that you will be left wishing he had had more on-screen time. Armitage has also held his own in portraying both a brave warrior and a king gone mad with lust for gold and treasure. Secondary characters that don’t have much on-screen time such as Gandalf (Ian McKellen), Lady Galadriel (Cate Blanchett) and the rest are adequate but they have too few scenes to truly shine in terms of their acting proficiency. The highpoints of the movie are the grand and ostentatious battles, and they are plenty; to call them epic is an understatement to say the least. One has to experience it to truly comprehend their sheer sense of audacity and scale. The last battle sequence is of special significance because Thorin finally confronts his arch nemesis, Azog (Manu Bennett). Alongside him, the duel between Legolas (Orlando Bloom) and Azog’s son, Bolg (John Tui) are worth watching. It demonstrates the director’s elevated sense of choreography and combat rhythm. The music is majestic and nostalgically associates you with the LOTR trilogy; its composer Howard Shore has done a befitting job. 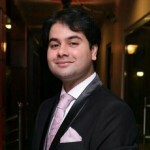 The music resonates well with the on-going scenes of the movie and sets the mood perfectly, whether the scenes are action filled, sad or comedic. Out of the last two prequels in The Hobbit series that preceded this one, The Battle of the Five Armies is the most action-filled and fast paced among the lot. In fact, out of its 144 minutes of running time, a large majority of that time is allocated to either leading up to a battle or fighting one, between hordes and multitudes of orcs, dwarves, men and elves. It ends with an emotional high when Bilbo says goodbye to the dwarves he grew so fond of and vice-versa, and returns back to his home, Bag End in The Shire. In addition, it sets the stage for Lord of the Rings: The Fellowship of the Ring as a precursor. Those that have read the novels or seen all three movies can’t help but feel a little teary-eyed along with having a sense of closure; they went along with Bilbo on an extraordinary journey, one that was fraught with perils that seemed insurmountable and overwhelming, where he found his true calling and made genuine friends. The defining chapter of The Hobbit may have minor flaws but it is a fine conclusion nonetheless. 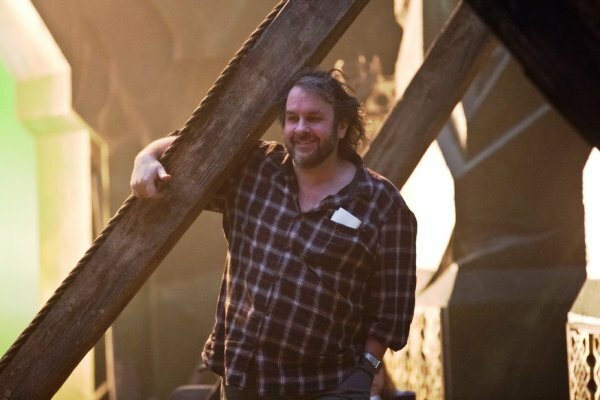 Now the question is, will Peter Jackson call it quits and venture into a different direction in terms of making movies or will he again try to recreate the magic of Tolkien’s world, The Silmarillion perhaps? Only time can tell. Is Guardians of the Galaxy Vol 2 better than its prequel?